Tonga – unique among Pacific nations – never completely lost its indigenous governance. The archipelagos of “The Friendly Islands” were united into a Polynesian kingdom in 1845. 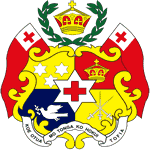 Tonga became a constitutional monarchy in 1875 and a British protectorate in 1900; it withdrew from the protectorate and joined the Commonwealth of Nations in 1970. Tonga remains the only monarchy in the Pacific.